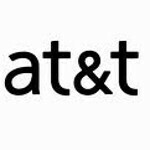 AT&T has finally caved and starting with the Samsung Infuse 4G, the carrier will allow third party apps to be installed on its Android phones. The Samsung Infuse 4G, as we reported yesterday, will launch May 15th. Non-Android Market apps were banned from the carrier's Android handsets because of the worry that "bad apps" would harm phones and the network. Jeff Bradley, AT&T's Senior Vice President of Mobile Devices explained the initial reluctance to allow third-party apps when he said, "I think we’ll go more open. First and foremost we were genuinely concerned from a network bandwidth standpoint and a customer experience standpoint for not having any mechanism to take down a bad app. And the only way we could do it at the time was relying on Google to leverage what [security] they had in [the] Android Marketplace. We took a lot of negative publicity for doing it, but it was 100 percent driven by a desire to be able to have the ability to support our network and be able to help our customers. It really was." We're not sure how many phone buyers opted for a handset elsewhere because of the third party app ban. But now that the ban has been lifted, it can only be good news for AT&T customers although many will have to wait for their next Android phone to take advantage of AT&T's change in thinking. i bet this is more of the "if we buy tmobile, we promise not to be as evil" thing they are doing. oh well.. regardless, its good that they finally did it. I was thinking the same thing. Sucking up till the deal is done then things will change back haha. Gheez! It's all so restrictive! In most other countries, tethering and 3rd party apps are available by default! finally about time. i know a few people example some of my friends that dumped at&t and went to t-mobile because at&t didnt allow third party apps and t-mobile does. but those people i know hated t-mobile signal over here in los angeles. at&t gets waaay better reception inside buildings than t-mobile i think cuz at&t uses the 850 mhz and t-mobile the 1700 mhz band. me i stayed with at&t cuz i like having service inside buildings its a good feeling lol . i have a captivate but i think i will be getting the infuse and show my friends i can now install 3rd party apps. just like them! they gunna get pissed off! cuz they always have to borrow my at&t phone to make calls inside buildings when there t-mobile phones have no service. also i think its kinda stupid that they just changed companies for that reason that at&t didnt allow 3rd party apps if they never had problems with there service. they tried convincing me to switch i didnt give in that easy ...o well people this days. Thanks for the life story... AT&T is still to restricted and drops calls constantly for any phone. So does T-Mobile. Get on the CDMA side people it's a better more reliable network!!! Which is great, as long as you never travel abroad. Which most American never leave these boarders. Really? All GSM Phones Use the Same Frequency??? i can get an At&t and put it in my Peice o Sh_t Android G2 and it will use T-Mobiles "4G"??? GsM is almost the same Sh_t as CDMA Xcept CDMA Is not a spectrum hog. BTW GSM is used mostly around the world because it was available first but Now other Major countries want to switch to CDMA like the Future top country which ill hesitate a little to say -__- china! Wait so I have to wait to get a new unrestricted android phone? I can't get third party apps now on my Captivate? I have been able to tether my phone for free and download from anywhere since day 3 :-) go to xda-developers.com ....captivate is one of the easiest phones to root. Change your modem and/or kernel to get the best reception for your area....never had 1 dropped call. Like they could really stop a competent user.